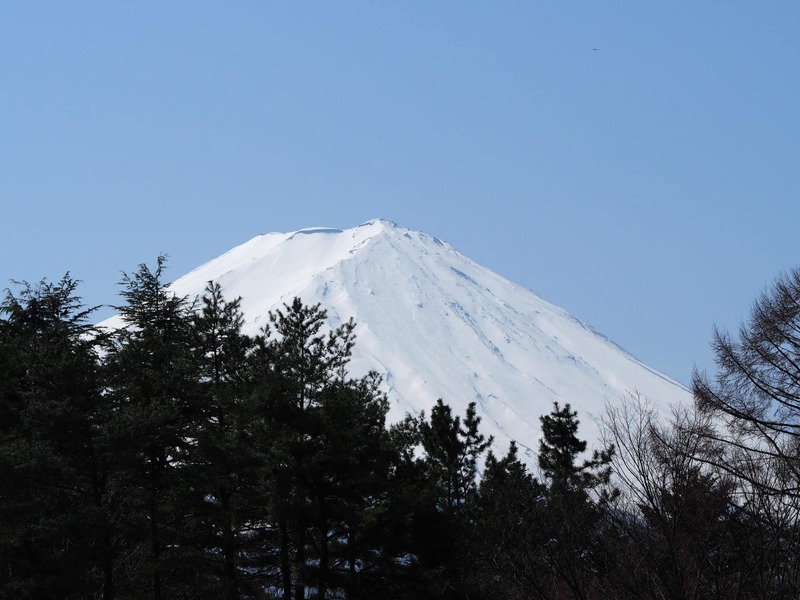 Kenji, a JMGA-certified mountain guide, takes you to the summit of the mythical Mount Fuji, on the cold weather of spring. Join him on this challenging off season 2-day ascent. Mount Fuji (3776m) is a symbol of Japan, a sacred and legendary mountain, and also the highest peak in the country. I invite you to join me for a 2-day climbing trip in the off-season, from Mid April until May. Climbing Mount Fuji during spring is the best way to avoid crowds. The most popular time for the ascent is during summer, so you should bear in mind that the weather is much colder during April and May. The climb itself isn’t technically difficult, but there is still snow on the trails during this time of the year, so you need previous mountaineering experience to join this climb. If you are more than 2 people, we will be two guides. However, if you have previous winter mountaineering experience, I can take up to 3 people with me. We will meet at the Fujisan station and travel together to the ascent starting point. On the first day, at midday, we will begin our hike at 1400-meter of altitude. It will be a 3-hour walk through a traditional and beautiful forest trail, with no snow. We will spend the night at the Sato Hut (2300m). We will talk about your skills and acclimatization at high altitude. Very early in the morning, we will start our climb on the second day, with ice axe and crampons. We will reach the Mount Fuji summit at about 11 a.m. At 3 pm we will start the descent, until 5 pm. This will be a long day, but with a rewarding sense of achievement after climbing the mythical and beautiful Mount Fuji. The same route will take us back, enjoying breathtaking views along the descent. About 4 or 5 in the afternoon we will be back in the car park and drive back to our accommodation. Please note if conditions are bad, we will not climb the mountain on the second day, and we may need to climb to the summit on the third day. Don’t hesitate to send me a request if you want to climb this mythical mountain in Japan. Join me on this off season climb and I will guide you to the top of Mount Fuji. On the first day, at 1 pm, starting from 1400-meter of altitude, we will start a 3-hour walk through a traditional and beautiful forest trail, with no snow. We will spend the night at the Sato Hut[2300m]. We will talk about your skills and acclimatization at high altitude. Today we will start our climb at 5 a.m., with ice axe and crampons. 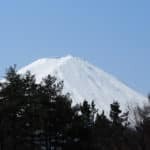 We will reach the Mount Fuji sumitt at 11 a.m., and the round crater at 12 a.m.. At 3 pm we will start the descent, and go down. About 5 pm we will be back. This will be a long day, but with a rewarding sense of achievement after climbing the mythical and beautiful Mount Fuji. *Depending on the weather conditions, we may need to climb to the summit on the third day. If participants have previous mountaineering experience, I can guide up to 3 guests. First day,from 1th[1400m] , 3 hours walking traditional and beautiful forest trail ,no snow, and we will stay Sato Hut[2300m]. Then I need conversation or meeting with guests about their skill,and adaptation of high altitude. it is long day, but sense of achievement than climb from 5th. Weather cindition, we can go to sumit 1 week 2day or 3day. So, reserve us 3 days ,and climb 2 days. Bad condition,we will not go mountain. More 4 guest ,I will call my friend guide. I have been working as a JMGA mountain guide since 2006. I mostly do climbing-related activities, but specialize in Alpine Climbing and Ice Climbing. Although there are no 4000m peaks in Japan, there are several unique mountaineering adventures to be had in the country, especially during the winter. During the summer, there are also some nice traverses to do, walking along the ridgeline while enjoying the magnificent views. This is quite popular in Japan, especially considering the large number of mountain huts available. Another popular activity is "Sawanobori". This is a form of mountaineering that does not take place on a mountain trail. Sawanobori is a very traditional Japanese climbing experience that consists of climbing a waterfall or canyoning up a river. While in Japan, you will probably also get the chance to relax in an onsen (hot spring), another traditional Japanese experience. I live in Hokuto city in Yamanashi Prefecture, at the base of a 3000m peak. It is about 2 hours by train from Tokyo. There are also numerous climbing spots in the area and various activities to enjoy. I work in partnership with several trusted colleagues so we can offer different options depending on your wishes. perfect prepared. Even waether was great. We had perfect windon for climbing. I can 100% recomend everyone off seasson climbing with Kenji.